A lifelong resident of Michigan, Dr. Bryant has lived in Grand Blanc with his wife Karen and children Matthew, Michael and Samantha for the past 23 years. After receiving his Bachelor’s of Science Degree in Psychology from Michigan State University, he attended the University of Michigan Dental School. Since then he has recorded nearly a 1000 hours of Continuing Education from some of the most prestigious Dental Educators in the world. Dr. Bryant’s office was recently selected as the Best Dental Office in Grand Blanc by the readers of the Grand Blanc View Newspaper for a third straight year! 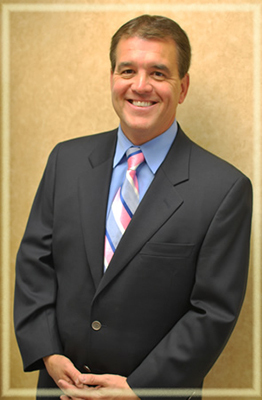 In his spare time Dr. Bryant enjoys golfing and travel, as well as any time he gets to spend with family and friends. Hello my name is Dr. Chris Bryant. I have wanted to be a dentist since I was 11 years old. Since then I’ve been on a mission to end people’s fears and make people enjoy coming to the dentist! Use our cosmetic dentistry services to brighten your smile or fix what you dislike about your teeth. Over the years I’ve had hundreds upon hundreds of adults come to me with dental fears and phobias, and I’ve helped them be comfortable, at ease, and even enjoy their general dentist visits. More importantly I have made it a priority to see that children have GREAT experiences and LOVE to visit the dentist. This kind of “start” will ensure that these kids get great dental care for a lifetime, instead of avoiding dental care out of unnecessary fears. And I’m happy to say “it’s working”. We love kids and kids love us back. It’s a great feeling!